A British artist has descended the art scene, and I don’t mean any of those transient guest biennale artists. Along with him, in a chic temporary exhibition space in Tiong Bahru, are works combining humour, political aspirations and the critique of modes and fashion of painting. 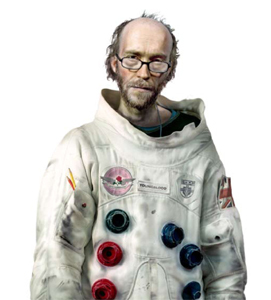 The works possibly represent the artist’s aspirations for an out-of-this-world experience and perhaps our own. Jack Youngblood is best described as the alter-ego of British painter, Martin Constable. 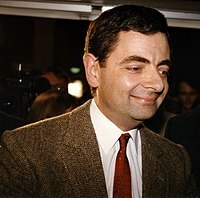 Alter-egos are best understood as persona taken on by British comedians that are larger than life, like Lily Savage (Paul O’Grady), or Mr. Bean (Rowan Atkinson). They perhaps offer a non-sensical logic to a seemingly sense-ful world, breaking monotony and offering entertainment. American entertainment seem be like truer than life TV programmes. A portrait painter by most part of his artistic practice, this foray into digital painting is an eye-opener for traditionalist viewers.Digital painting, can just be excruciatingly time consuming and require just as much skill in manipulation with the added dimension of complicated inkjet printing. The prints here were well executed, brilliant in tone and colour, working well with the composition and method of temporary display. (tiong bahru estate) till October 1st. Unlike other reviews I have written, I find it extremely difficult to give this review a tagline. The works are diverse and varied in categories, more so than the competition’s ‘representational’, ‘abstract’, ‘photography’ and in the ‘junior’, ‘youth’ and ‘open’ entry groups. Familiar names of participants on wall labels, familiar painting styles and themes flash across my mind during my brisk walk through the curved Jendela Gallery. The most unique local styled painting would still have to be Ong Sek Chern’s painting. Some others are inspired by Impressionistic studies, Jenny Saville’s style, or Photoshop inspired bitmap filters. The exhibition is arranged according competition award groups, starting with the ‘open’, leading to ‘youth’ and ‘junior’. The works are tightly hung, leaving very little wall breathing space between the works. As an critic to the participants, organizers and judges this exhibition is best a gallery of impressive works, with few sparks here and there. But not enough to start a fire or revolution in the local painting scene. Some works in the open section are in need of reminder of the importance of craft in painting, unless the paintings are not handled properly during transport. The junior and youth works remain the most impressive and less trying (I am un-ashamed to be biased towards youth and junior works, provided they did most of the work). The Open works come across as muted. The name of this exhibition has always baffled me. Or rather, the resulting exhibition has always confused me. The painting of the year refers to one ‘grand’ winner of this illustrious and prominent art competition, making the rest seem almost trivialized. Some artists termed this the make or break competition, non-NAC painting grant, the carrot-to-keep-on-painting-competition. Some see it as an opportunity to challenge one’s painting skills, more than ‘gaining wider recognition’. I can imagine the jury had a tough time. When you begin to rank art, placing one before the other, you slip into a position of power more than mere superior taste and judgment eye. The audience should understand, the works on show regardless of age grouping, represents a selection of works that subjectively appeal to the judges, and I always liken the competition to a kind of high-odds lottery, regardless of what the media says about the jury/bank’s objective meritocracy in promoting visual arts in Singapore. Speaking about chance, one work by Teo Chai Guan, “Portrait of Mum” seems most apt. The painting/print is black and white and a montage of hundreds of tiny lottery result slips pictures. A lone shadowy patch of black occupies 1/24 of the painting. In a nation where critique of legalized gambling is shunned, the work becomes very suitable to illustrate the nation’s obsession with the lottery, for Big Sweeps, 4-D, Toto and this competition. It makes a community of artists and artist wannabes hopeful, just as the thousands that queue up at betting stations to buy dreams. A competition of this scale without any explanation, lecture, documentary or workshops to explain the process and reason of ‘Painting at its best’, is probably only a derby where the racer and horse are paraded as famed, before possibly fading into oblivion. Something else that disturbs me are the paintings by Alvin Ong. The paintings are masterfully painted and De Chirico inspired to the core. The works are spaced more generously. The space allocated must be one of the smallest solo exhibitions to date. The lighting within the paintings are impeccable and inspiring The winning painting, “The Window” from last year’s competition, I must say, is very badly framed, with glass over an oil painting and abundant reflection to kill the painting’s subtle hues, shadings and omni-present mysterious iconic billboard poster in the representational painting. If the painting was any representation of our appreciation to past year winner’s works, Painting is really dead when hung like that. A sense of destruction comes to mind when we are greeted by rubble or porcelain or white Celedon ware at the Sculpture Square Gallery. Place in a semi-darkened space, the work consists of a wall video projection, with a Chinese voice-over and Chinese subtitles of the NASA Space Shuttle Challenger accident, and heaps of broken ceramics. From the little platform constructed on the left of the gallery when you enter, it gives you a higher vantage point, enough to make out the shape of a rocket from the piles of broken ceramics, positioned strategically by the artist. On closer look, the broken objects on the floor are ceramic cast from computer keyboards, toy dolls, tyres and other everyday household or common objects. You may find shoes or bottles too amongst the rubble. This could suggest the anxiety of consumerism, and its destruction of the environment, or the certain impending doom led by our quest for technological advancement, as signified by the doomed Challenger flight in the documentary projected on the wall. The work has possibly two links: one with Conceptual Art and the use of mass produced Ready-mades, made legitimate by Marcel Duchamp in the early 20th Century; the other with the long Chinese tradition of Ceramics making. From a certain perspective, the work could also possibly reference Minimalism, the use of an absolute material white-ness. It really isn’t Minimalism because of the video work that pulls the viewer away from considering the work solely on the objects, but on the significance of NASA’s space shuttle accident, symbolic because it humbles mankind’s thirst for ‘progress’. It seems to question if we are reaching for the stars too quickly, or if religion played any interpretative role, are we trampling on the universe’s origins too lightly? The work is successful to convey a sense of loss and frustration. A sense of loss because it fills like an eulogy for a failed Shuttle mission, replaying over and over again in the Sculpture Square Gallery, previously a chapel. The loss is also evident in the destruction of numerous ceramic pieces, functionless or devoid of function, but nonetheless disposed. The frustration can be felt if we imagine the process of the artist smashing up one piece at a time; each piece probably pain-stakingly casted by assistants. The work is comparable to fellow Chinese Artist Ah Xian’s work, which uses the traditional method of Cloisonne to create verisimilitudes of his portrait bust. In Ah Xian’s work, they are pain-stakingly assembled, experimented and they exude an exquisite sense of fragility and poise. In Jianhua’s work, we see the opposite, crude every day objects,but just as frail. Both are interested to revive the material of ceramics in contemporary art. Perhaps a stark contrast to the sensibility to material, in Ceramics Beyond Borders (http://web.jugas.org.sg/index.php?option=com_content&task=view&id=78&Itemid=2)*, a parallel exhibition at the Central Library by Japanese and Singapore artists preening in master craftsmanship. I must profess to be a person that doesn’t write to you. It does feel awkward, but I am sure you will understand. An artist doesn’t write about such things, they either end up spiralling into a fiction, or self-wallow at time spent away from the canvas. The visit to City Hall happened by chance. I called a friend for help with server space for this art writing blog. While nothing was conclusive to that matter (I decided to try wordpress’s free signup), I was invited for a free visit to the City Hall Exhibit, a part of the Singapore Biennale. It is perculiar to think that a majestic colonial building like City Hall would be converted into a contemporary art exhibition space. Jenny Holzer’s text was projected on the facade of City Hall on September the 1st, using powerful Xenon Projectors, and operated by her own crew of technicians. You would imagine a building with less historical baggage to house cutting edge art. I suppose there has been an increasing trend to house contemporary art in really old buildings, or really hip and trendy, purpose built futuristic ones. The Tate Modern Gallery of London was a dis-used power station before its transformation into an international art venue. The Guggenheim Museum staff shared their vision of a hi-tech museum on the fringe of the desert in Mexico, hanging over a canyon, when there were discussions in Singapore about having an art museum in our Intergrated Resorts (IR). The Singapore Biennale 2006 (SB2006) visual arts exhibition opened on Monday, September 4th to the public after luke warm response from curious passerbys at the padang party on September 1st, Friday. It is now official, there will be an admission charge into certain venues. The theme of Singapore’s first visual arts Biennale SB2006 revolves around the concept of “Belief”. Through a selection of international contemporary art practices, SB2006 aims to address the complexities that surround and inform some of these questions, also examining aspects of belief in relation to the system of art itself and the inherent values of contemporary art. The artistic director, the renowned Japanese curator and art critic Fumio Nanjo, and his curatorial team (Roger McDonald, Eugene Tan and Sharmini Pereira) conceive a Biennale with about 80 participating artists, and will present it at diverse venues, including museums, religious spaces, public institutions and disused buildings. The pathway of the audience across the city is part of the concept, providing an insight into one of the unique features that characterize Singapore as a multi-cultural society, where many beliefs co-exist alongside one other. Some of the venues also provide points of departure for a critical reflection on the role of architecture in the construction of belief and ideology. Despite the cover admission charges, happy exhibition visitors will be delighted to know that the admission charges include a FREE pin-badge with the word “BELIEF” printed on it. Many local artists belief that the crowd will pick up steadily after the arrival of international guests for the IMF, and after the school exams.